Shunting like this is not as quick as tacking, and a lot slower than gybing. However, it is generally easier and much safer than both, and the worse the conditions, the more obvious the difference is. A quicker way to shunt has been developed by the racers. Instead of bearing away, the boat is luffed head to wind. 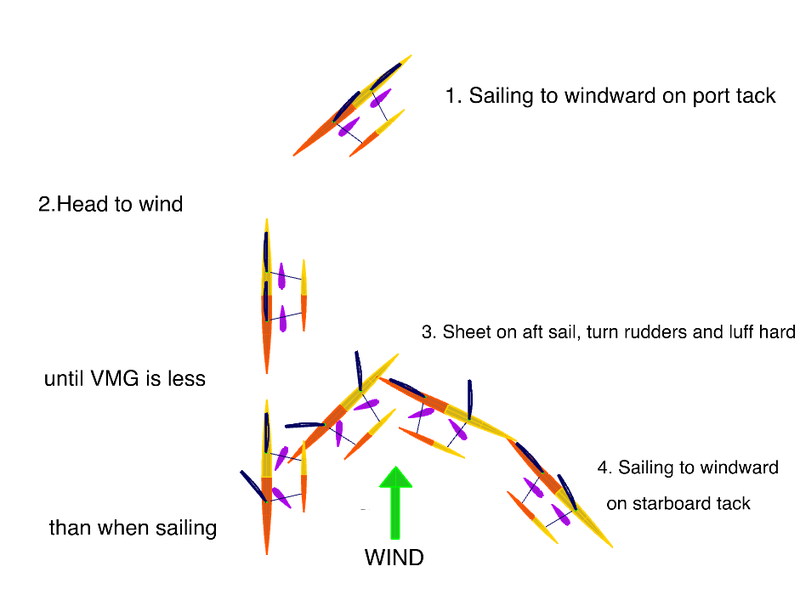 When the vmg drops, the sails are sheeted on to the new tack. This stops the boat and the rudders are rotated. As the sheets are pulled on, both rudders steer the boat back to the new tack. On a schooner, the aft rig is sheeted on first. 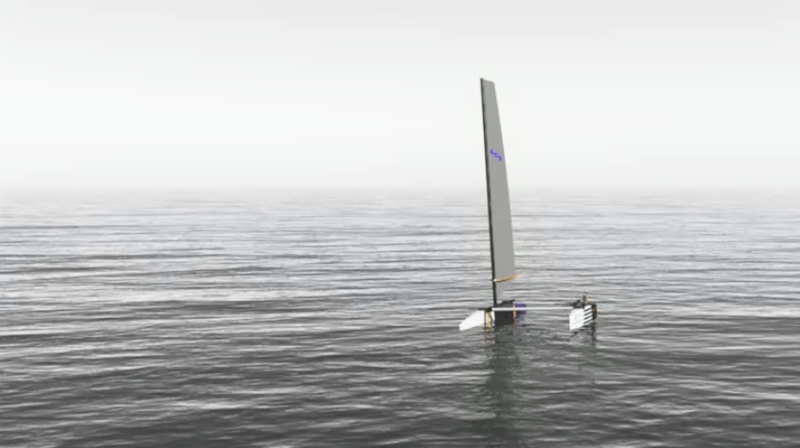 If crew are available, they move forward on the windward hull to speed the turn. 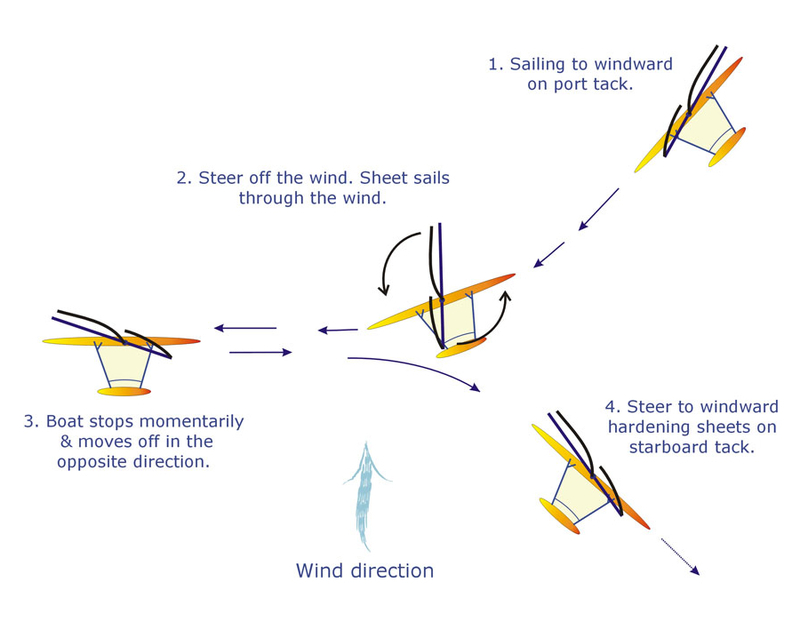 Similarly aggressive use of rudders, sheets and crew will also speed up a gybe/shunt. Both procedures could be sped up further by the use of an easily deployed brake such as legs or buckets in the water, or a simple flap.